Savor a delicious complimentary full breakfast served at individual tables in our beautiful dining room. Breakfast is served at an assigned time from 8:30am - 9:30am each morning to accommodate both early risers and those desiring to sleep in. If you choose to skip breakfast, please let us know in advance. 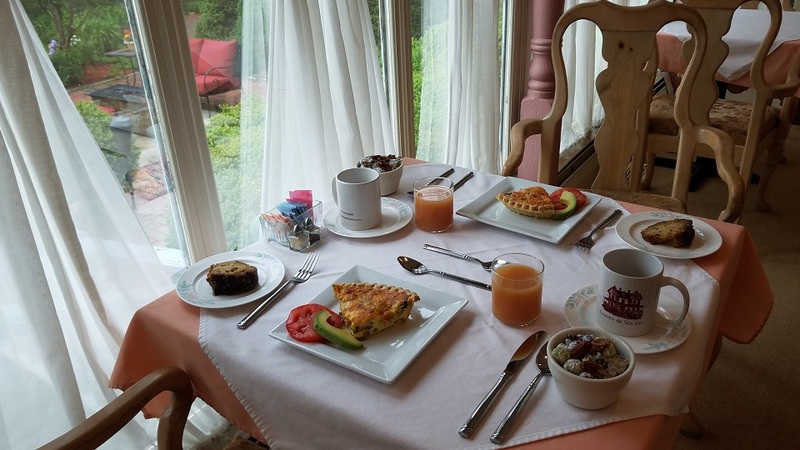 Your breakfast may include fresh fruit and juices, yogurt, breads or scrumptious muffins - and the entree of the morning. 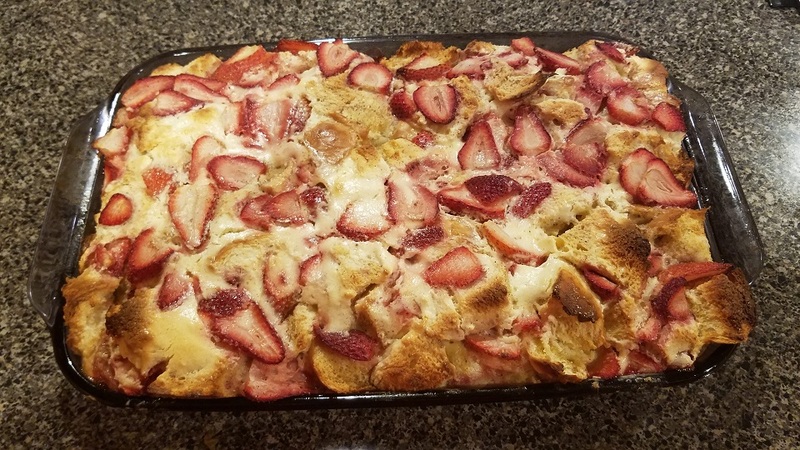 Sample entrees include delicious dishes like quiche, eggs benedict, fresh blueberry pancake bread pudding, strawberry cheesecake French toast casserole or our green chili breakfast casserole. 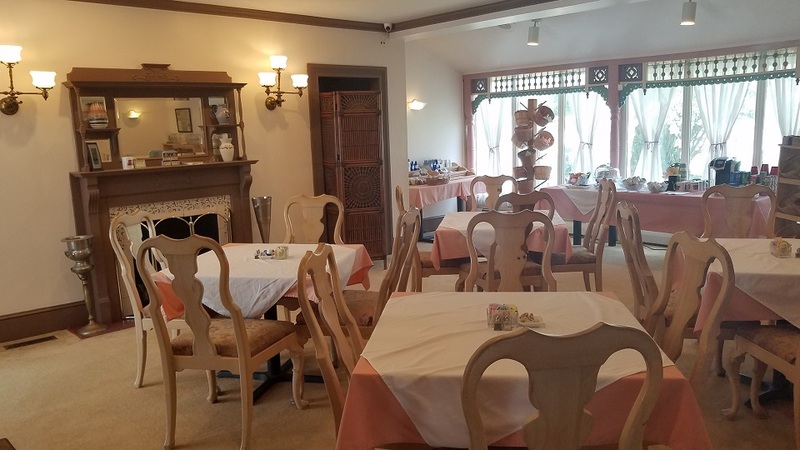 Linger over breakfast with the finest fresh ground coffee on the Eastern Shore or sample a new flavor of hot tea. Truly, a breakfast you'll remember.